This cute charcoal grey top features 2 snaps at the neck for easy on and off changing. These toys planes are whimsical and fun and the red is metallic! 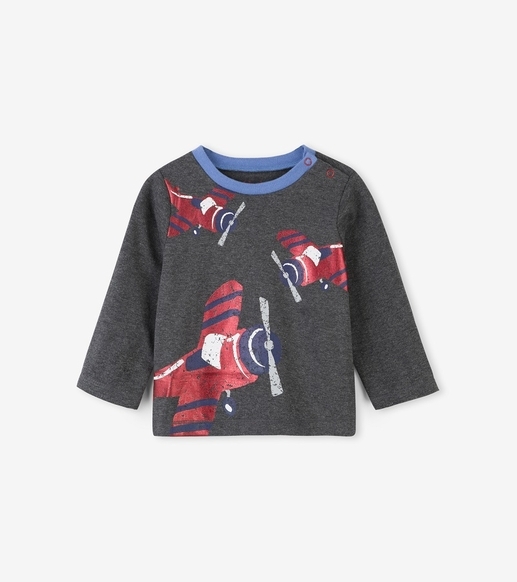 Made of 50% cotton/50% polyester by Hatley.